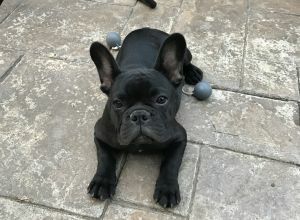 Brody | French Bulldog in Surrey. My name is Deanna. I have there children who I absolutely adore and love to the moon. I also have two dogs. One is 14 and her name is Mya. She is a pug. The other is 7 months old, his name is Brody and he is a French bulldog.